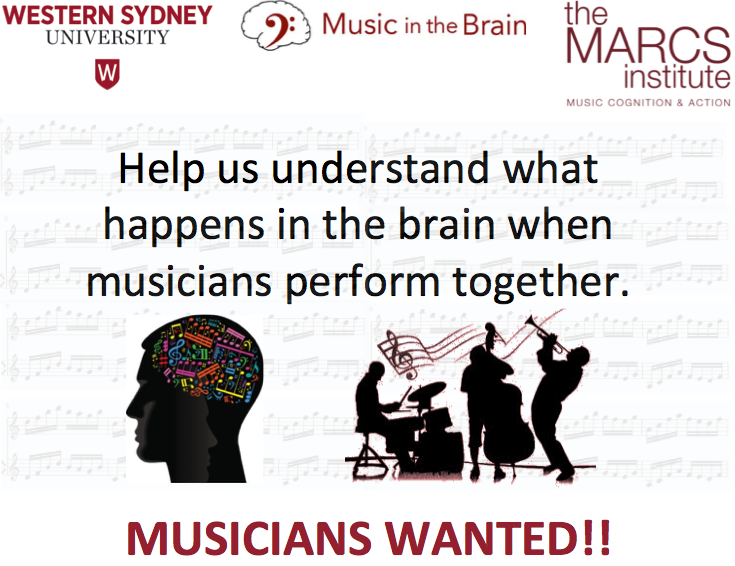 You are invited to take part in a study looking at how the brain allows musicians to perform together. The study will involve several sessions and different brain imaging and stimulation techniques such as Magnetic Resonance Imaging (MRI) and Transcranial Magnetic Stimulation (TMS). Your task will be drumming or finger tapping in time with rhythmic sequences. You will be paid $30 - $45 for each session you participate in.